Read this article to know more about Lokuge Dinesh Chandimal , young 21 year old Sri-Lankan player who recently scored century at Lords against England and lead his team by 2:1 in ODI series. He has scored 2 centuries in ODI cricket, only in six matches. In this article I am going to discuss biography and career records of young Sri Lankan wicket keeper Lokuge Dinesh Chandimal. Lokuge Dinesh Chandimal is young Sri-lankan cricketer who recently proves its worth by scoring unbeaten 105 runs and laid its team to a six-wicket one-day international victory against England at Lord's on Sunday. This Victory of Sri-Lankan team has made them ahead is series by 2-1 lead in five match series. We are still waiting for final result to be out soon? But one thing which Sri-Lankan team has explored from this series is Dinesh Chandimal, who is still 21-year-old. It is his second century in six matches,the good thing about Chandimal is its potential to convert fifties into hundreds. You can see the potential of this young cricketer, which has two century in six matches. 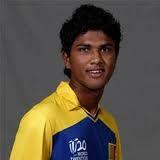 Lokuge Chandimal born on 18 November 1989 at Balapitiya in Sri-lanka. From his childhood, he is willing to be a cricketer and finally at Lords ground, his potential is recognized by the world. He is right handed batsman who plays a role of Wicket keeper. He started playing from Ruhuna and Nondecripts Cricket Club by scoring 64 runs in his debut match, while playing for Sri-Lankan cricket development XI. He is considered as an aggressive batsman and keeper for Sri-Lankan U-19s where he vice-captained for Lankan team. Within short span of time, Chandimal has gained so much popularity and started his cricket career as a teenager at Dharmasoka College, Ambalangoda. Later, he made his international debut during ICC World Twenty20 2010 in the West Indies. Moreover, he also got experience of playing against the teams like New Zealand, Zimbabwe and Australia. In the one-day international cricket match, he made his debut against Zimbabwe where he scored unbeaten 10 runs and made his side to nine-wicket win and even after few days he got a chance to play against India where he scored his maiden international century by scoring 111 runs in 118 balls. 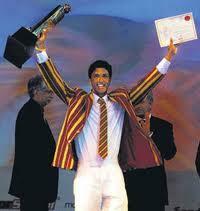 His innings of 111 runs, helped Sri-Lankan to win match and knock out India from the series. He also got the record of scoring ODI century at his youngest age. In year 2009, he started his cricket career from Sri Lanka Cricket development XI by playing for Ruhana and Nondescripts Cricket Club. After completing the initial cricketing stages, he promoted himself to first class Sri-Lankan team, At Auguest 2009, he made his debut to domestic cricket team by playing against New-Zealand. He played two matches in first class cricket and scored around 177 runs with an average of around 59. Out of which, he scored one fifty and one hundred and top most score of it is 109 runs. As far as his bowling is concerned then he is wicket keeper and not bowled so far. As a wicket keeper, he got only 1 catch in two matches and no stampings yet. He played only one match in List A cricket and scored 15 runs in it. While doing as a wicket keeper, he got one catch and no stampings yet. He got more experience of twenty matches such that he had played around 10 matches and scored 186 runs with average of around 18.60. He scored 45 runs as his highest score in Twenty20. As a part of wicket keeper, he got 6 catches and 1 stampings in Twenty20. He played his 2 match against India at Harare in Zimbabwe and scored 111 runs at Harare Sports Club in year 2010.